Without much news, Xiaomi has secretly released 2 new smartphone titled Xiaomi Redmi 6 and Redmi 6A. Both these smartphones come with specifications and interesting features plus an affordable price of course. What is offered both these smartphones, consider the following brief reviews. The sixth generation smartphone of the Redmi family comes with a variety of distinctive features of today's mobile phones. We start from the screen, Redmi 6 comes with a 5.45 inch screen panel with HD + resolution and 18: 9 aspect ratio. Not only that, the appearance of the design was quite interesting with rounded corners plus a firm line on the back. To support its performance, embedded Mediatek Helio P22 chipset with 8 GHz Cortex-A53 core processor and PowerVR GE8320 graphics. The embedded chipset is combined with 3GB and 4GB of RAM, while for internal memory available options of 32GB and 64GB. From the side of the camera, this smartphone comes with dual camera features with 13MP + 5MP configuration on the back. While the front camera is 5 megapixel. 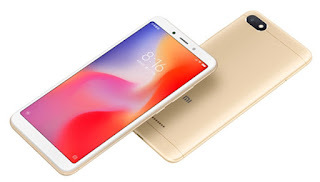 In addition, Redmi 6 comes with adopting the Android operating system 8.1 with a custom interface MIUI 9. Embedded also fingerprint sensor on the back and a battery capacity of 3000 mAh to support its daily activities. For the price, Redmi 6 3GB / 32GB sold for $ 125 or equivalent to Rp1, 7 millions. As for the 4GB / 64GB RAM version sold for about 2.1 million. 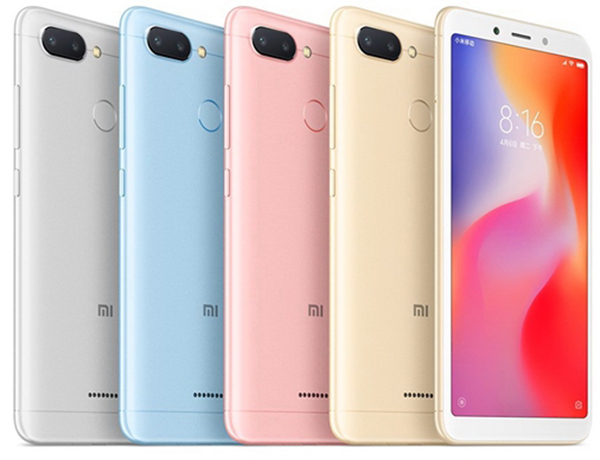 Switch to Xiaomi Redmi 6A, this smartphone comes with specifications that aim at the entry level. For the screen, Redmi 6A comes with a screen size similar to Redmi 6 which is 5.45 inch plus HD + screen resolution and 18: 9 screen aspect. As for the kitchen pacunya has embedded chipset Mediatek Helio A22 berprosesor quad-core 2.0 GHz. Also embedded 2GB of RAM support and 16GB of internal memory and microSD card slot that can be maximized up to 256GB. For photography facilities, the main camera Redmi 6A is 13 megapixel and 5 megapixel front camera. Unfortunately, Redmi 6A is not equipped with a fingerprint sensor. But access to 4G LTE network, WiFi, Bluetooth 4.2 and 3000 mAh capacity battery has been present adorn this device. Xiaomi Redmi 6A sold at a price of 699 yuan or equivalent to Rp1, 5 million-an. Xiaomi Redmi 6 and Redmi 6A will debut in China from June 15th, but it is not yet known when this device will be available globally including the Indonesian mobile phone market. 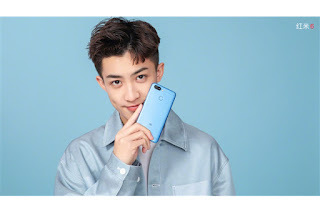 0 Response to "Xiaomi Redmi 6 and Redmi 6A Officially Glide, This Detail Specification"